Another slice of inspired daftness and great music to keep you happy through the night. Plus, the Album and Record of the Week and Lester's and Listener's Library song choices. There's only one way to get through the night with a smile and that's with Alex, AKA the Dark Lord, on the Best Time of the Day Show. There will be another track from the Album of the Week, another spin of Record of the Week, two more tracks from Alex's eclectic CD collection in the Lester's Library, a selection from you from the Listener's Library and Pause for Thought. Alex is armed with the Drums of Pun, the Mallet of Stupidity and the Squeal of Campery; you won't get the chance to even think about sleeping! Abc - The Lexicon Of Love. Splish Splash -Best Of Bobby Darin Vo. Steve Miller Band - The Best Of. Gerry Rafferty - Right Down Line. Dancing In The Street (Various). Tina Turner - Simply The Best. 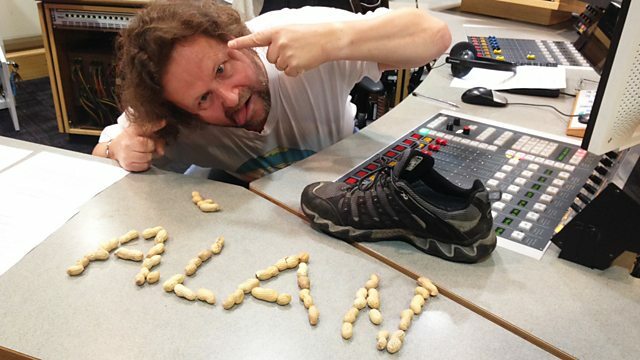 To celebrate Alex's 26th year on Radio 2 here's a handy guide to his nocturnal world.